Close to the medieval city of Apricale, on a plot of 4860 m², we have this cosy cottage for sale 90 m². 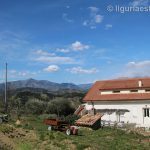 The cottage is located at the beautiful Ligurian countryside in the middle of olive trees with stunning views at the mountains. With all comfort available is this an real opportunity for nature lovers. The ground floor consists of a spacious living room with a beautiful fireplace, a kitchen, a bedroom and a bathroom. 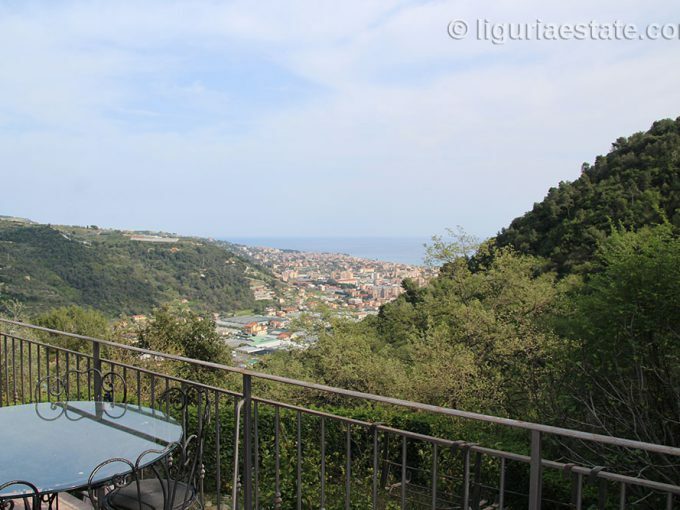 Adjacent to the kitchen is a nice veranda to enjoy “la dolce vita” in Liguria. The upper floor is large enough to be expanded to 2 bedrooms. The plot is accessible through a beautiful cast iron gate. In the large garden is a well-kept oil producing olive orchard. All major facilities are available in Apricale like, bars, restaurants, shopping etc. besides that it is just a 20 minutes’ drive to the beautiful beaches of Camporosso Mare and the lively city of Bordighera.